Bring a soft and rich velvety look to your homes décor with our luxurious collection of faux suede blinds.... They are the epitome elegance and style and guaranteed to bring an irresistibly warm and sumptuous look to any window. Not just fabulous to look at, but being blackout they are also extremely practical as well. 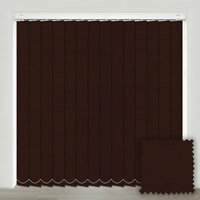 Their soft tactile fabric will bring elegance and opulence to your home and their blackout coating will give you excellent light and privacy control. These stunning faux suede roller blinds are an exquisite way to dress any window. Each one is custom manufactured for a perfect fit and the beautiful choice of colours means there is something to compliment any interior. Ideal for a soft textured look in any room, they will adorn any lounge or dining room window with their beauty and with their opaque qualities, suede look roller blinds are a fabulous choice for a bedroom. 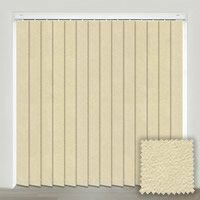 If you love the rich textured, luxurious look of suede and also like the practicality you get with vertical window blinds, then why not combine the two with our high quality suede vertical blinds. 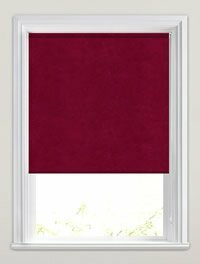 Perfect for a truly sumptuous and plush look at any window, they look utterly gorgeous and being blackout they allow for an even greater degree of sunlight and privacy control. From the bedroom to the dining room they will certainly add the wow factor and are an excellent cost effective alternative to drapes.